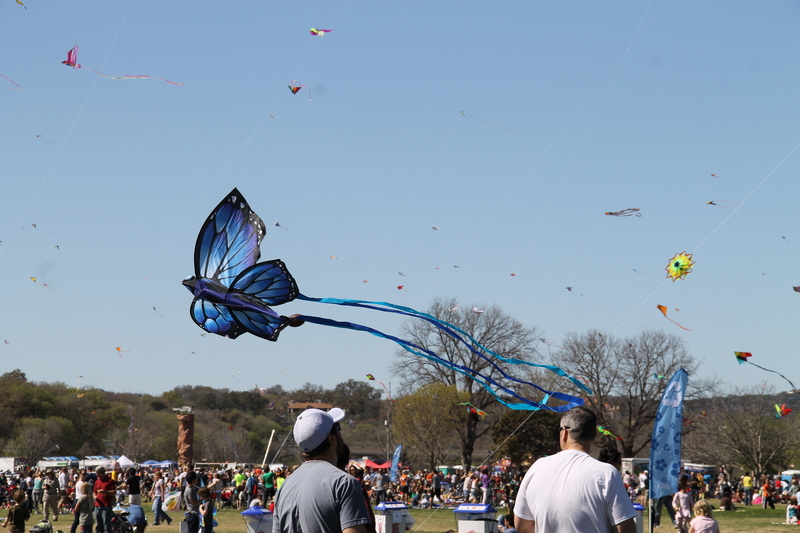 Here’s a recent adventure I had at the Austin Kite Festival at Zilker Park. 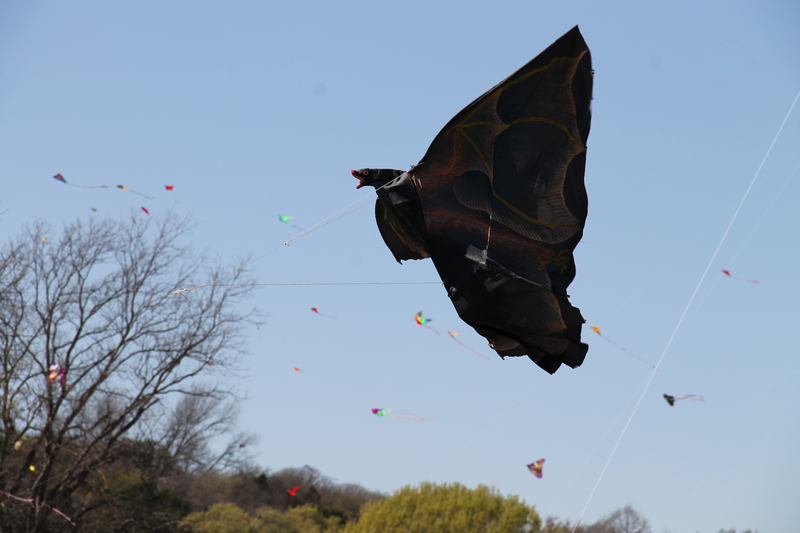 It was a beautiful, windy day-perfect for kite flying with friends! 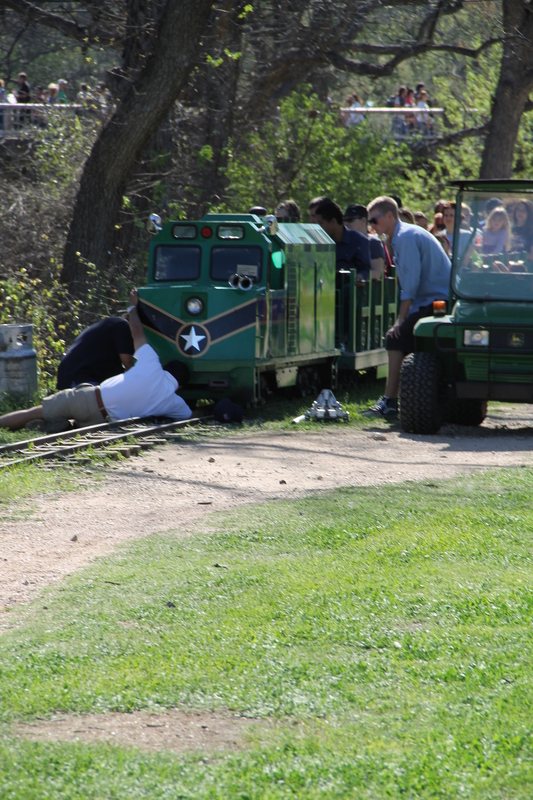 We sat, relaxed, and basically had a perfect Saturday. Gorgeous blue butterfly kite! My mom loves the color blue and butterflies and I thought of her as soon as a I thought this. 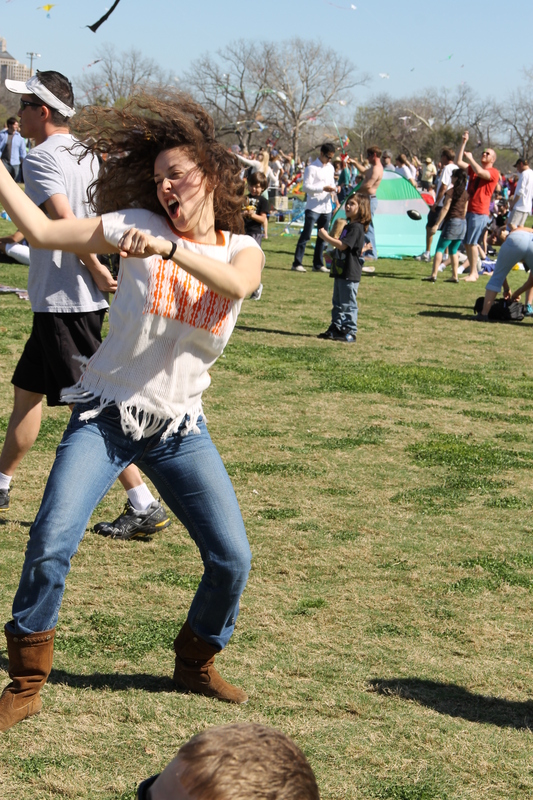 Julia is a dancin’ fool. This is Julia. 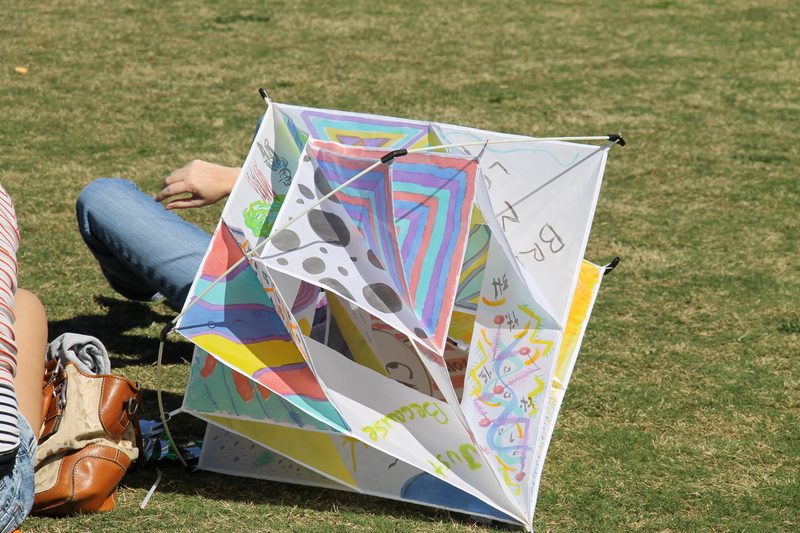 She had the idea for for the kite festival adventure – doesn’t she look like she’s always full of great ideas? She is! 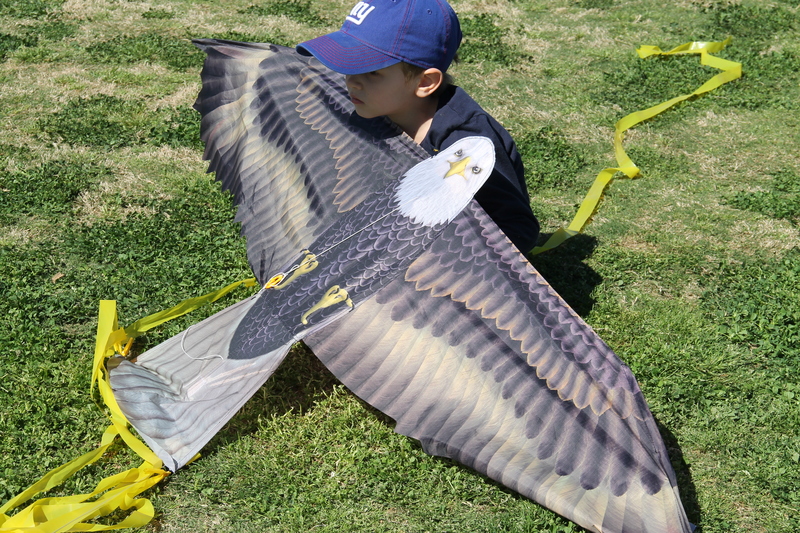 This kite was so cool! 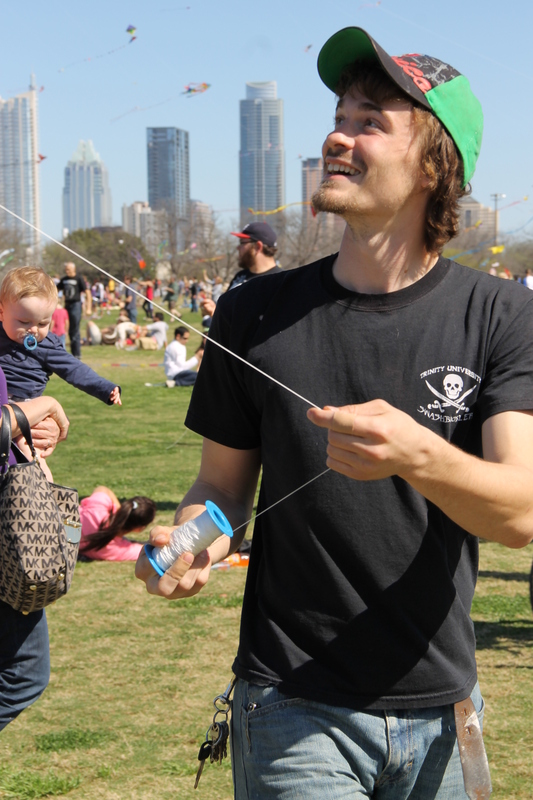 This kid had one of the best kites, but he and his dad had a hard time getting it up. 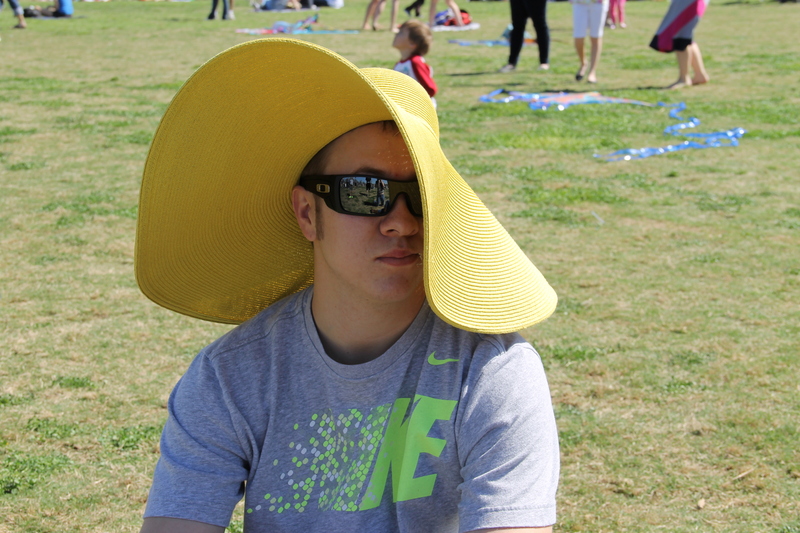 Like everyone else, Michael enjoyed using the giant yellow hat. The best thing about this hat is that it makes finding people in a crowd really easy. It was really great to capture the look of pure joy on Justin’s face as he flew the kites. 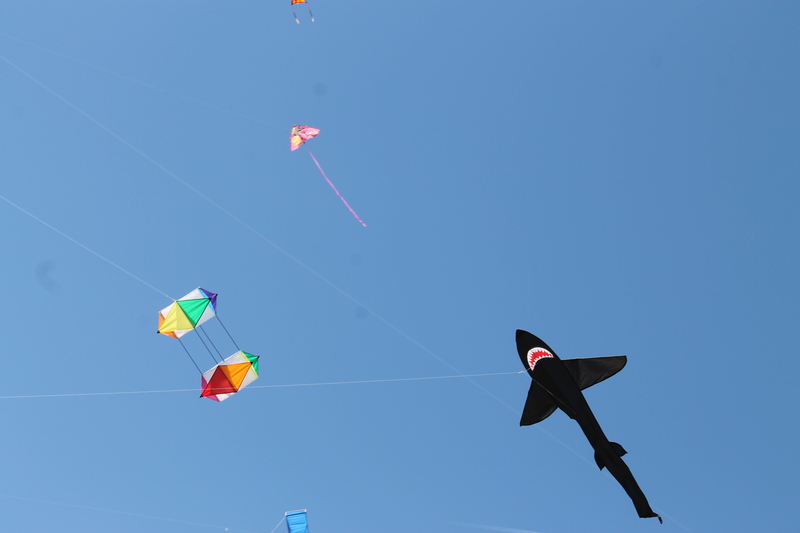 He really liked getting into ‘kite wars’ with the other fliers, which led to some interesting tangles to undo. 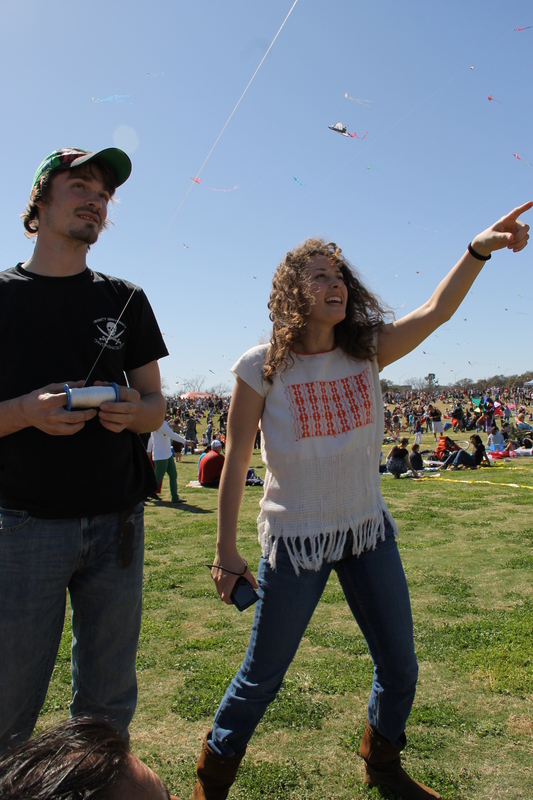 Half of the fun seemed to be finding the coolest kites in the sky. Like this awesome bat kite! Who knew? This was one of the coolest kites out there, if only because it kept on looking like it was about to eat the other kites! Nom!